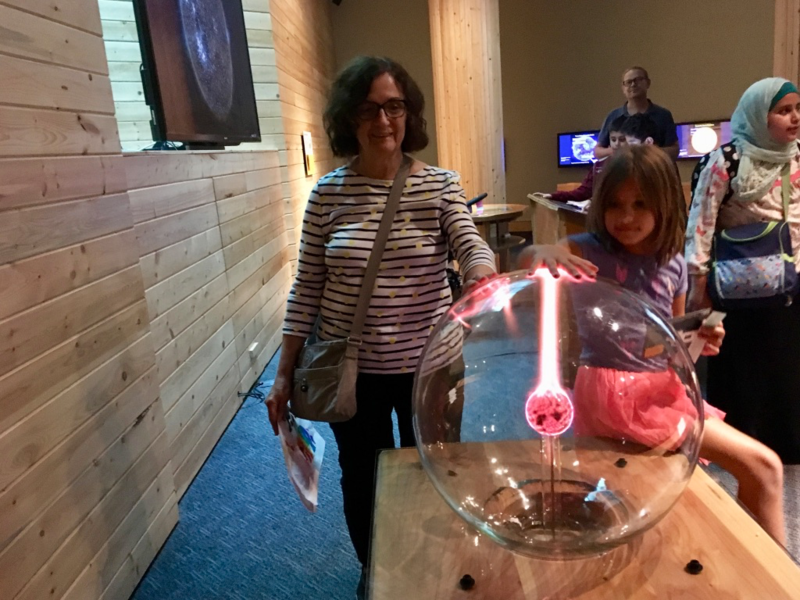 Our family visited the Chabot Space & Science Center on August 5, 2017. Here is what families need to know before visiting the Center. Chabot Space & Science Center is located at 10000 Skyline Boulevard, in Oakland, California. It is between the Redwood Regional Park and Joaquin Miller Park, in the hills above Oakland, offering beautiful city views (and winding roads to get there!). For directions to the Center, click here. The Chabot Space & Science Center is open Wednesday through Sunday from 10AM-5PM. Note: The Center is closed on Mondays and Tuesdays. 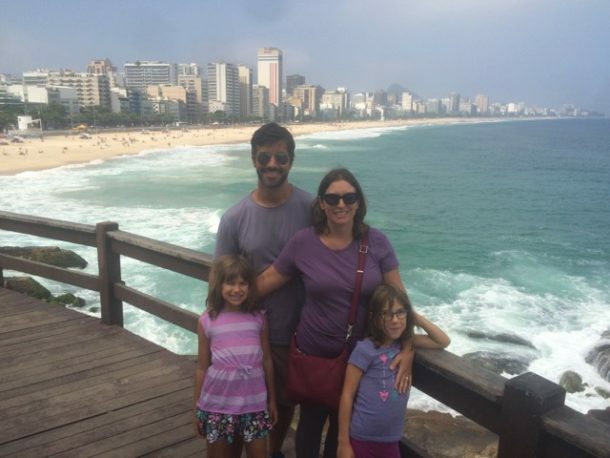 We were actually headed there on a Monday, but Google Maps alerted us that is was closed! We quickly altered our plans and visited on a Saturday instead. Tickets (Admission) are $18 for adults, $15 for seniors and students (13-18 or with a valid college ID), and $14 for youth (3-12). Kids under 3 are free. General Admission includes: 2 Planetarium Shows, access to interactive exhibits, special exhibits, the Discovery Lab (for kids 5 & under) and the Observatory Complex (day and evening telescope view available, weather permitting). 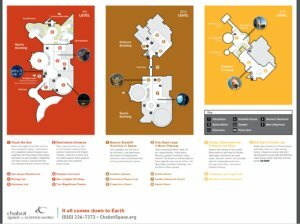 The Chabot Space & Science Center also has $5 First Fridays, during which they offer programming for $5 on the first Friday of each month from 6-10PM. For more information, see Chabot’s First Friday page here. General Admission tickets can be purchased online here. First Friday tickets can also be purchased online. Parking is free (Yay!) and the Chabot Space & Science Center has a parking structure with ample parking onsite. 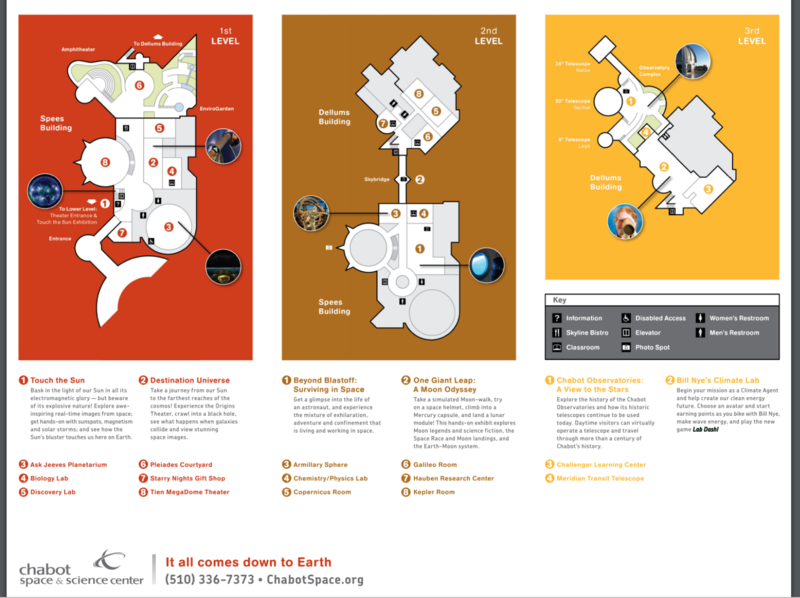 The Chabot Space & Science Center has exhibits on 3 levels. Elevators are available, as well as stairs. There are a few stairs to get to the Observatory Complex, which those in a wheelchair may have trouble navigating. Restrooms are located on each level. Bean Sprouts Cafe, located on the 1st Level, offers healthy lunches and snacks (no french fries here, just veggie tater tots!). 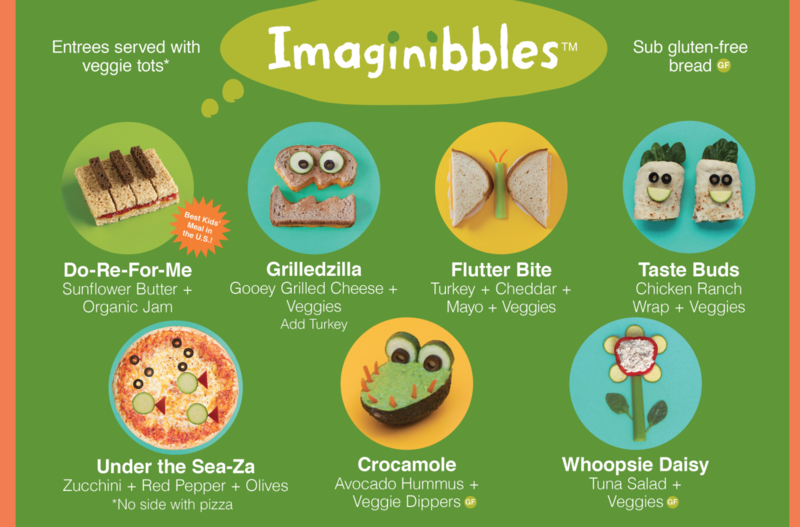 Children’s food is presented in a fun manner to make it more appealing to kids. Starry Nights Gift Shop, located by the Entrance/Exit, has a number of science-oriented souvenirs that will appeal to children and adults alike. 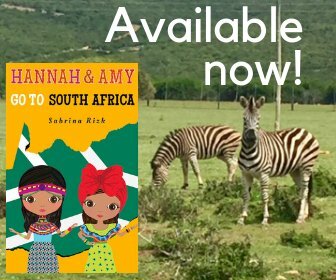 If you cannot make it to the Gift Shop in person, you have the option to order online. Astronaut Hannah at work in the Beyond Blastoff Exhibit! 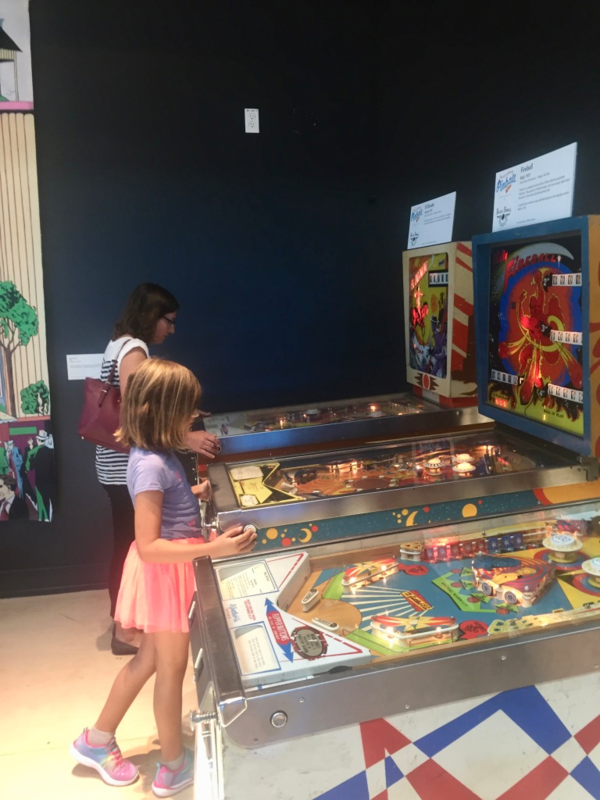 Art and Science of Pinball – This special exhibit will be on display until September 24, 2017 and is presented in conjunction with the Pacific Pinball Museum. It looks at the science, engineering, and design of the pinball machine and how it has evolved over its 200 year history. 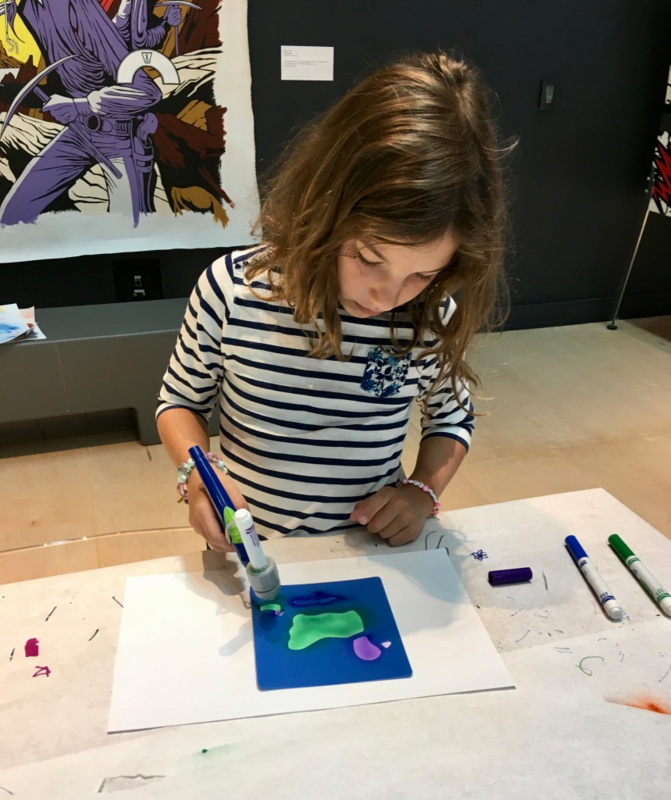 Living in the Abstract – This special exhibit will be on display through September 2017. It presents images of everyday objects that evoke connections to space. Illuminated Space – This exhibit features ‘The Bay [Bridge] Lights’, the world’s largest LED light sculpture. Beyond Blastoff – This exhibit gives you a glimpse into the life of an astronaut: what they eat, what they have to wear, and what their living and working conditions are like. Destination Universe – This exhibit shows you some of the things you will find in the universe, from black holes to nebulas and more. 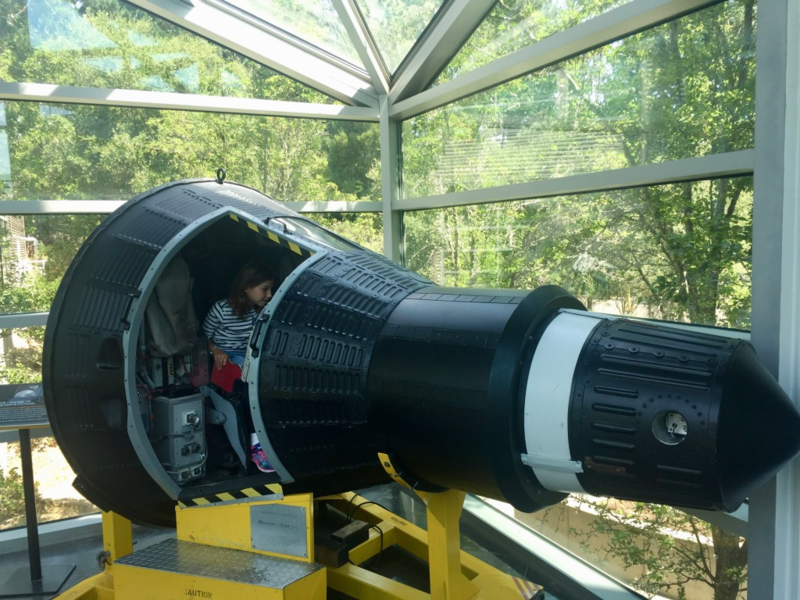 One Giant Leap: A Moon Odyssey – In this exhibit, you can get behind the controls of a Mercury space capsule, and see a moon rock from the Apollo 15 mission. 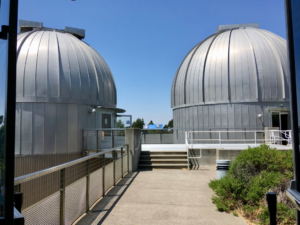 A View to the Stars – This exhibit explores the history of the Chabot Observatories and how its historic telescopes continue to be used today. The Chabot Space & Science Center is home to a Planetarium. Two Planetarium shows are included in the admission price. For a list of shows playing on the day of your visit, click here. Shows can vary in length from 10 minutes to 40 minutes. Seating is on a first come, first serve basis. The Observatory Complex includes three telescopes of varying sizes. Daytime, evening and solar viewing are available. Find out the Observing Status (how clear the sky is), on Chabot’s Observatories web-page, here. 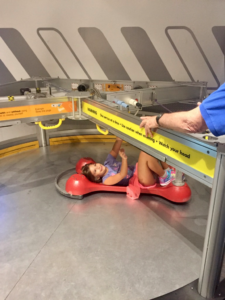 A Discovery Lab, for kids 5 and under, is located on the 1st Level, across from the Bean Sprouts Cafe. It has blocks, books, a puppet theater, and other things for kids to play and use their imagination with. We arrived at the Chabot Space & Science Center just after 11:30 and spent about 5 hours there. That was enough time to see all the exhibits, watch a Planetarium show, have lunch, and visit the gift shop. Since it was a Saturday, there were no school groups or summer camps visiting, and my daughters could use the interactive exhibits without waiting too long. The best part about the Center was its interactive nature, best illustrated in the pictures below. The day we visited, the girls could do spray art, which they loved. 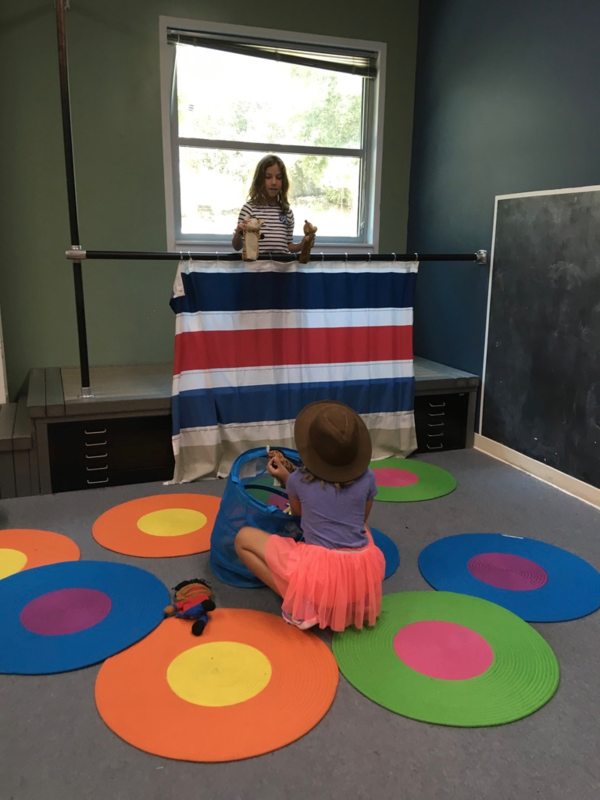 Even though the Discovery Lab is supposed to be for younger kids, my girls enjoyed putting on a puppet show for us. 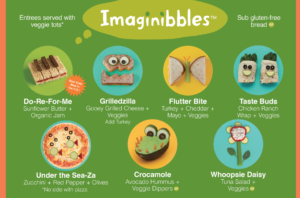 As a Mom, I especially liked that Bean Sprouts Cafe offered healthier fare, and that the Planetarium show we saw encouraged kids to read and use their imaginations (even if it was a bit outdated, by including Pluto as a planet). 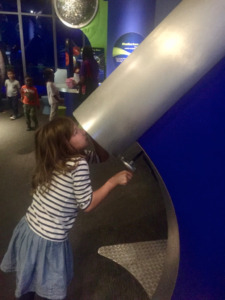 Overall, we recommend the Chabot Space & Science Center as a fun family day out! Thank you, Wiki. I’m glad you like my blog. I’ve thought about developing a social media presence for my cats too! So true, that they would probably get more followers!